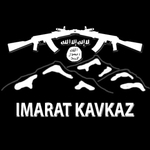 The Caucasus Emirate was founded in 2007 by Doku Umarov, the former president of the self-declared Republic of Ichkeria in Chechnya. The group seeks to establish an emirate in the Caucasus area as a stepping stone to a global jihad project for reviving the caliphate. It has carried out suicide bombings and other attacks targeting Russian security forces and civilians. Umarov was killed by Russian security forces in March 2014. The Caucasus Emirate had links with the Syria-based Jaysh al-Muhajireen wa al-Ansar, which saw a schism with the Islamic State-aligned contingent under Omar al-Shishani. As of October 2015 though, Jaysh al-Muhajireen wa al-Ansar has since joined Jabhat al-Nusra, while Salah ad-Din al-Shishani maintains his own Caucasus Emirate-aligned contingent in Syria. Further, other factions exist with links to Caucasus Emirate such as Jamaat Jund al-Qawqaz/Ajnad al-Qawqaz.